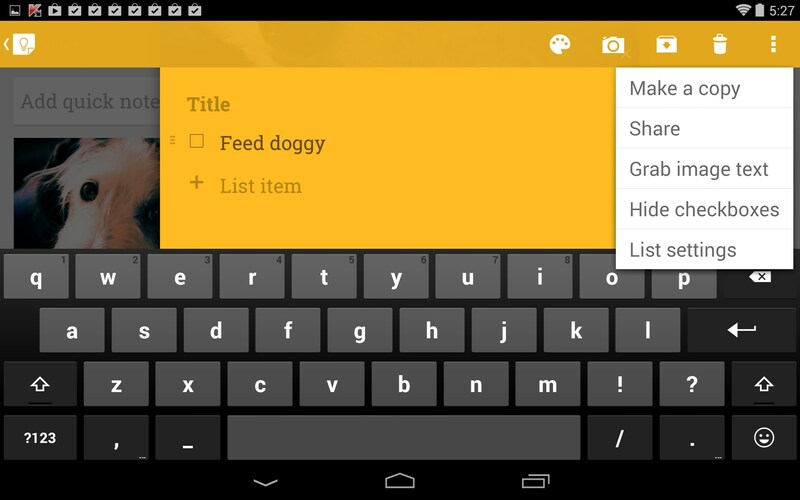 Google Keep – Soft for Android 2018 – Free download. 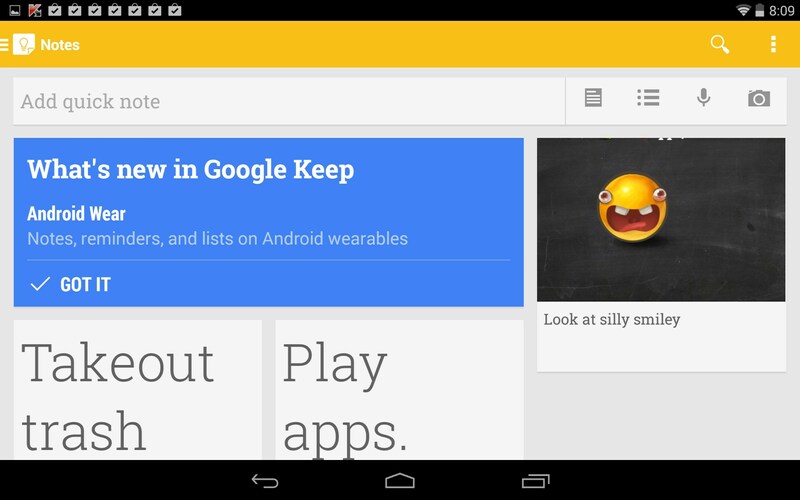 Google Keep – A useful organizational tool for your Android. 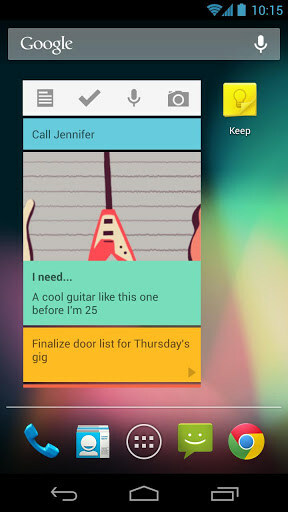 Google Keep for Android is a very simple note keeping app that also happens to be free. So now there’s really no excuse to not be organized. 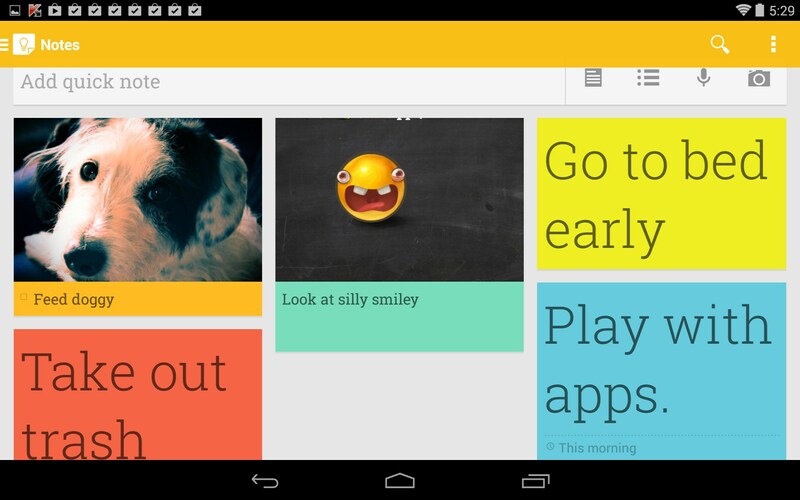 Google Keep is a colorful and easy to use note taking and reminder app. 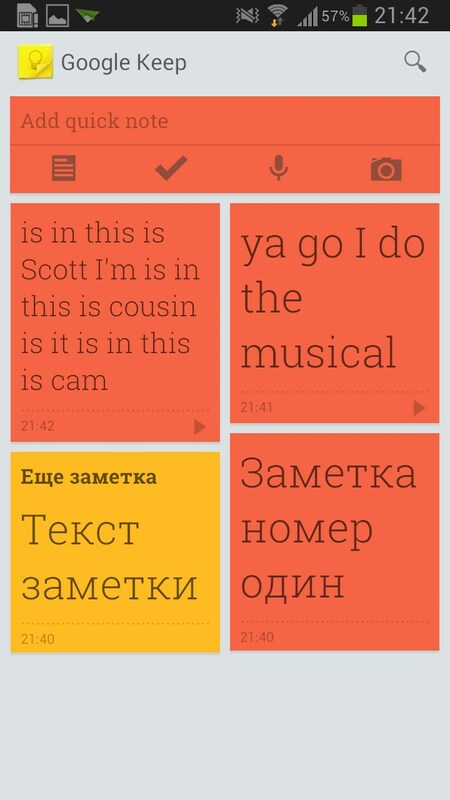 Think of it as post-it notes for your Android. 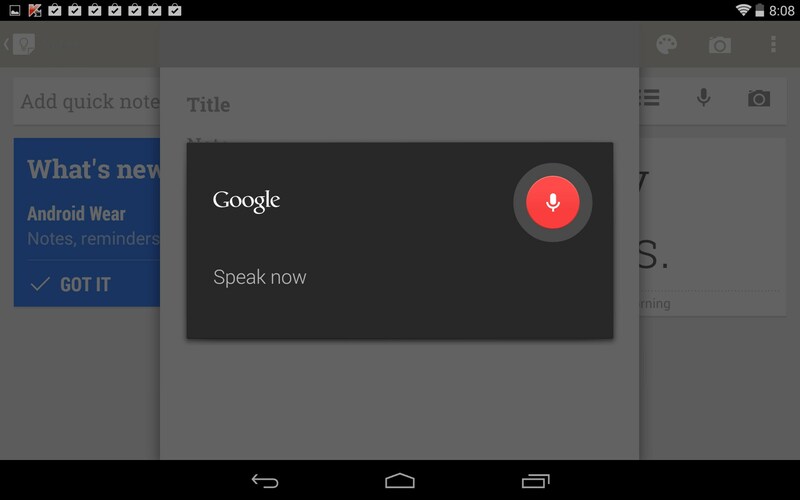 Just tap to add a quick note, input some text and that’s it. 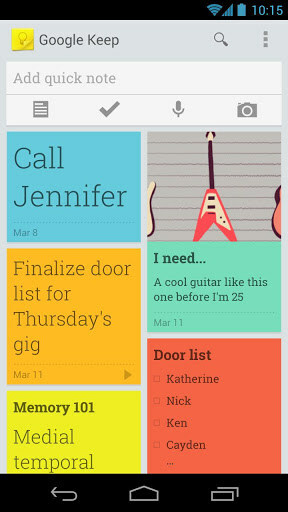 If you want to get fancy, you can select one of 8 background colors for each of your notes and make your whole board look colorful. 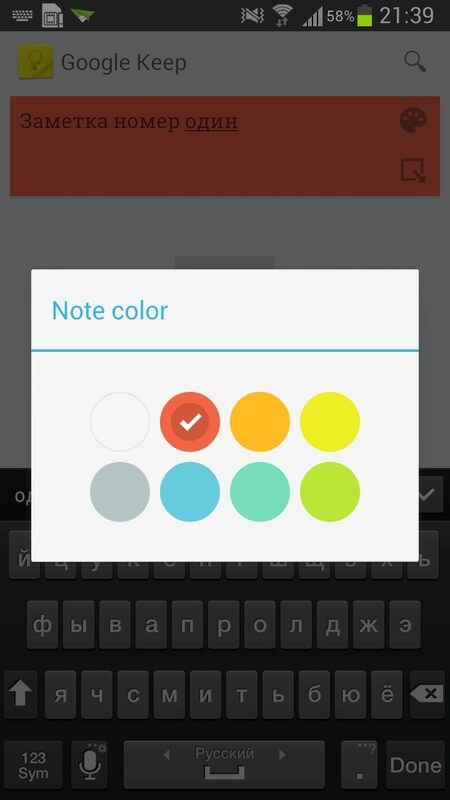 You could also decide to create your own color coding system and reserve certain colors for particular tasks; like red for important, blue for work, green for personal, etc. 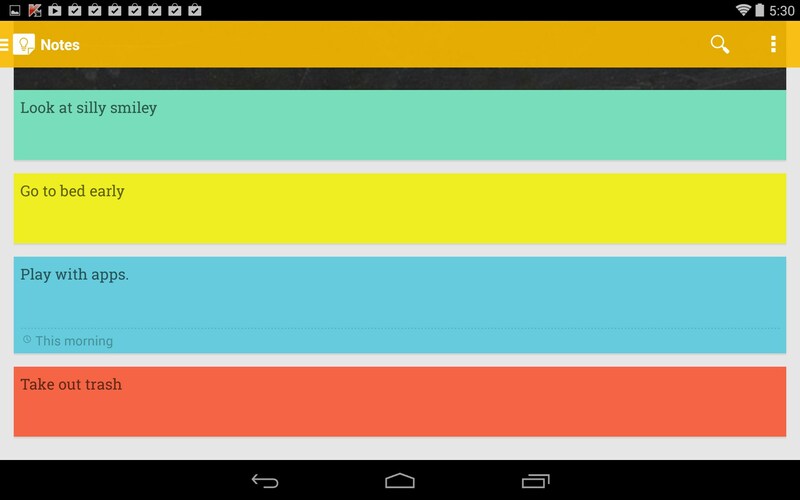 You can also add basic reminders and a small photo to each of your notes. 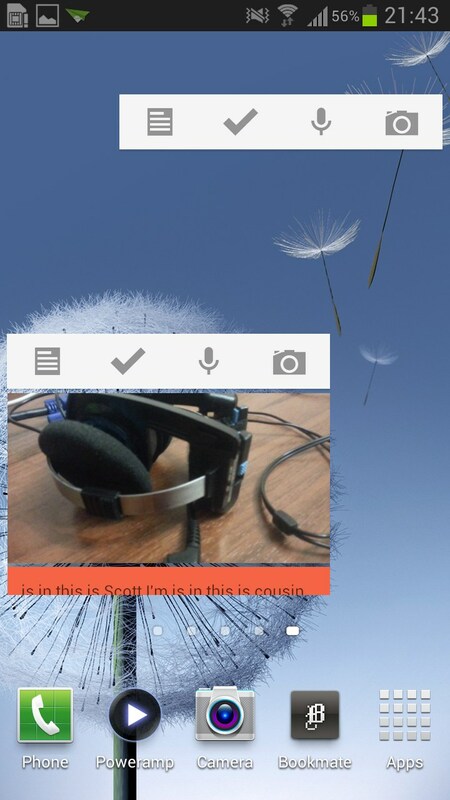 The interface is very minimalist, which is good, because it assures the app will function quickly and won’t be bogged down by redundant features that aren't needed. This is supposed to just be like writing yourself short little notes on paper, but instead of creating a mess with a mish-mash of loose papers, just collect them all here and keep them neat and tidy in one place so you’ll always know where they are. One improvement that would be nice, is that all the photos should be automatically cropped and standardized to one dimension for all your notes, that way your entire collection would display uniformly; however, the current patchwork display also has it's style advantages. 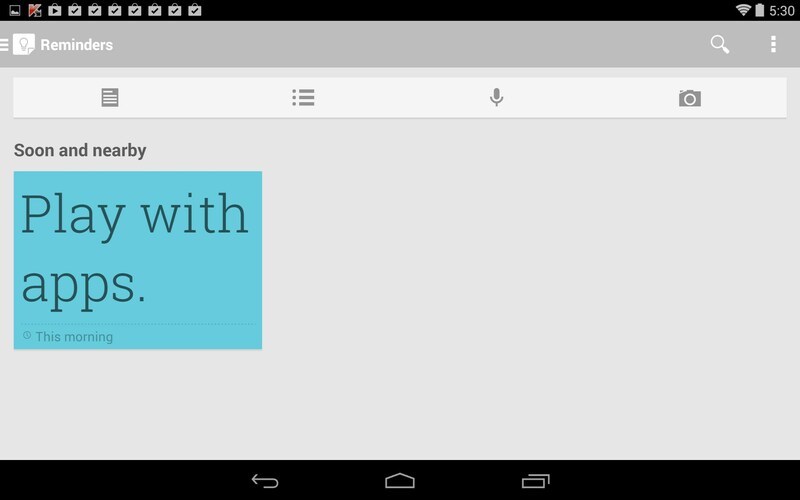 Google Keep functions well and is appropriately minimalist. 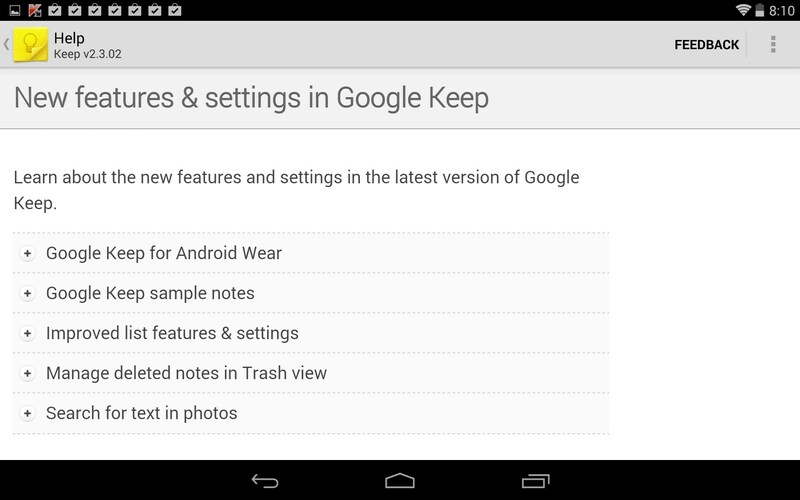 I think this could be a useful organizational tool and appreciate that the app isn't bogged down by redundant features.